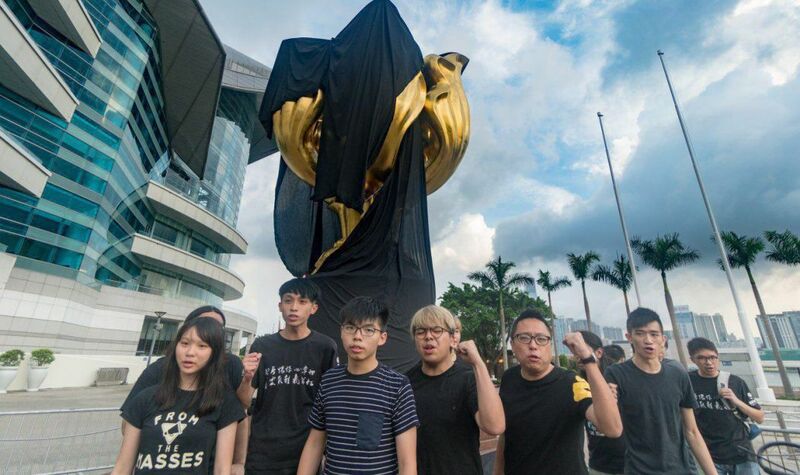 A group of activists have wrapped a monument symbolising the handover in black to protest Chinese President Xi Jinping’s visit to Hong Kong this week. 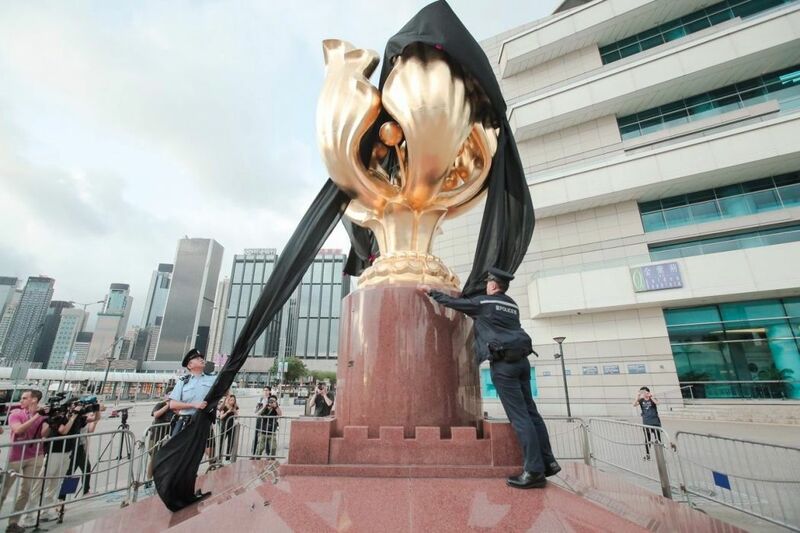 A dozen activists from political parties Demosisto, the League of Social Democrats and People Power appeared at Golden Bauhinia Square in Wan Chai at around 6am on Monday to cover the “Forever Blooming Bauhinia Sculpture” in black cloth. Police removed it soon after. The “Black Bauhinia” action at the Golden Bauhinia Square. Photo: Demosisto. The statute was one of the gifts presented to Hong Kong in 1997 to celebrate the handover of sovereignty. Daily flag raising ceremonies are held at the square, which has become a popular spot for mainland tourists. Chinese President Xi Jinping will visit Hong Kong from this Thursday as part of the celebrations marking the 20th anniversary of the handover. 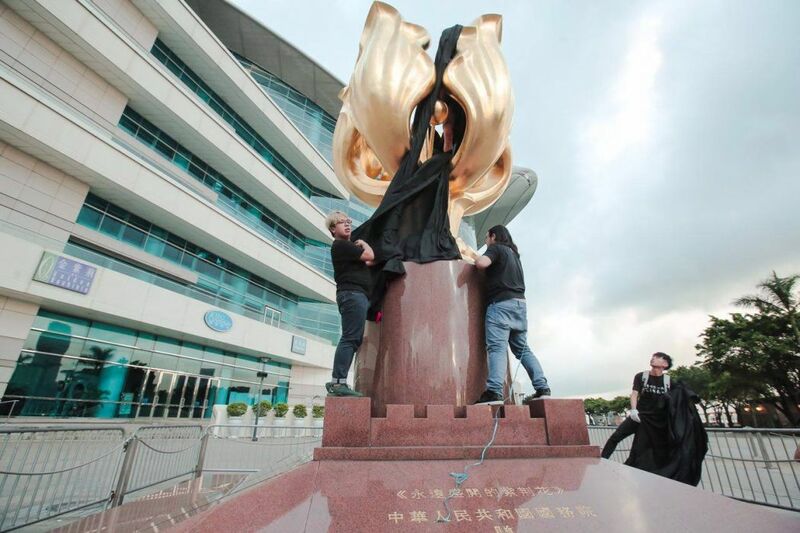 The activists said wrapping the statue in black “exposed the brutal truth behind the glorious rhetoric of ‘returning to motherland’,” since Hongkongers were unable to participate in the 1980s negotiation of their future between China and the UK. “When we realised the ‘One Country, Two Systems’ principle was in grave danger, that the high degree of autonomy was being interfered with suppressed by the central government, the Golden Bauhinia Statue – a present given to Hong Kong people – became just an illusion and a lie,” said Joshua Wong, secretary-general of Demosisto. 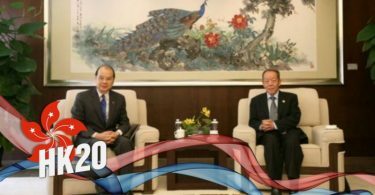 Wong said “One Country, Two Systems” had turned into “One Country, 1.5 Systems” over the past 20 years, as democracy is still a faraway goal for the city. 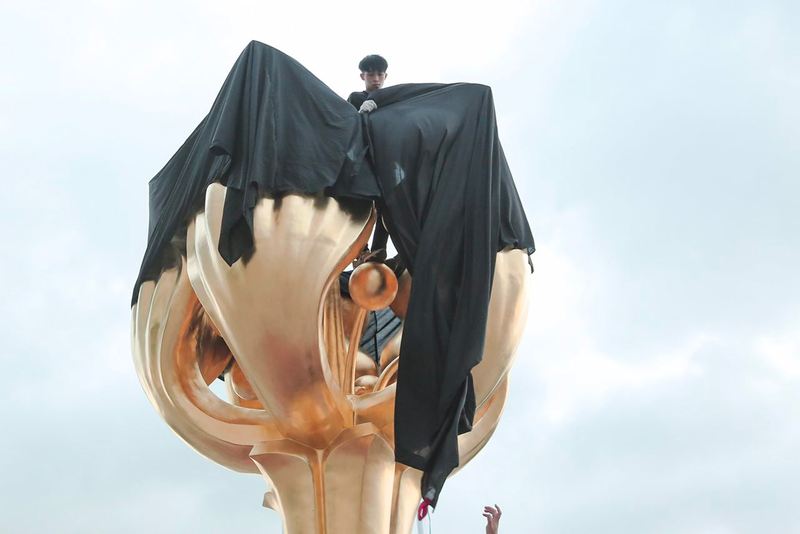 Security guards tried to stop the activists placing the black cloth on the statue, but they were unsuccessful. The police removed the cloth soon after, and took identity card information from some activists. They urged the public to join the annual pro-democracy march on July 1. 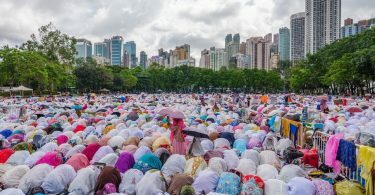 “It’s not the time for celebration, it’s time for demonstration,” Wong said. The “Black Bauhinia” action at the Golden Bauhinia Square. Photo: League of Social Democrats. “July 1 is not a day for celebration. We have had enough in 20 years,” said Tam Tak-chi of People Power.